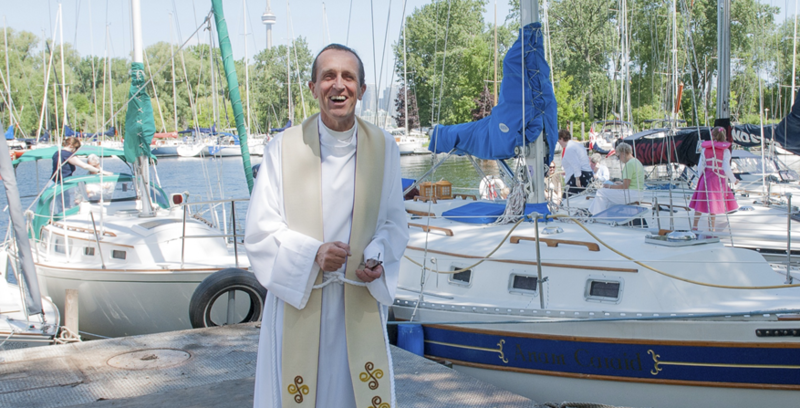 11am - Blessing of the Boats and Bicycles - Drop anchor in our lagoon and attend the service from your boat. Pedal your way to church and receive your blessing on shore. 12 - 2pm - Strawberry Social - Linger for a couple of hours for a light lunch of sandwiches and cakes festooned with mouth-watering strawberries nestled in decadent whipped cream. Sandwiches, Strawberries, Cake, Coffee, Tea & Punch. All of this for only $15 (12 years & over) and $5 (under 12 years). Don't forget - there will be our Silent Auction! Wonderful summertime music provided by Big Al, Proprietor with Roger Sharp. The community of St. Andrew by the lake (SABL) has undertaken the development of a Christian Eco Retreat Centre. SABL offers a ministry of spiritual resilience and hope in the midst of impending climate change. We believe that God is calling Christians to a renewed commitment of a more faithful and biblical stewardship of creation. Congregations and groups can design their own day with the clergy of SABL (Michael Marshall or Stephen Drakeford) or they can register for the set retreats offered. Did you realize the Toronto Island harbors Arctic waterfowl over the winter? Bring your binoculars and you’ll see up to a dozen species of ducks and shorebirds. A warm local meal and wine, an update on the latest on Arctic melt as well as prayer and biblical reflection will round out the day. Led by Stephen Drakeford. Creative play, bible stories, walks, projects and prayer will enrich children’s spiritual lives and add to their school’s environmental curriculum. Led by Stephen Drakeford and congregation. How does the big bang converge with our spirituality and traditions? This indoor guided meditative journey surprisingly illuminates both science and spirituality. Led by Stephen Drakeford and Grant Janke. This day-long workshop inspires and educates participants around the world to bring forth an environmentally sustainable, socially just, and spiritually fulfilling world.